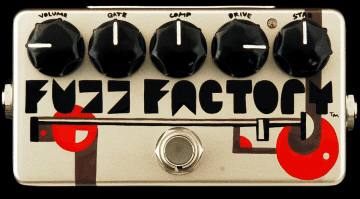 This new version of the Fuzz Factory, a modern classic, is based around a silicon transistor – and hopefully a little more stable than the regular germanium versions! The original ZVex Fuzz Factory is an untameable beast sometimes. Based on a germanium transistor circuit, it can become quite unruly at high temperatures, with insane amounts of high gain and squeal when used in a hot live environment. With this new updated version, Zachary Vex is seeking to eliminate the temperature-related madness to calm the beast and make it more stable while retaining its trademark dirty fuzzy goodness. With the traditional Volume, Comp, Gate, Drive and Stab controls of the original still the same, the will have to balance them carefully to get to the more traditional fuzz tones – or you can just go mad and create insane modulations instead. 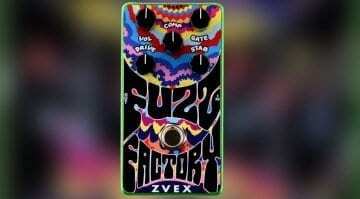 This new ZVex Fuzz Factory Silicon version adopts the new pedalboard-friendly vertical format that ZVex has adopted recently, making it easier to squeeze into your rig. Is that a good enough excuse to buy one? I love the ZVex Fuzz Factory myself and own an old Myrold one. 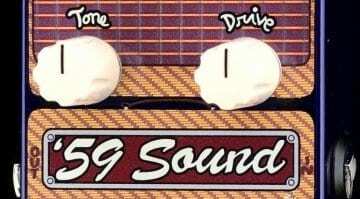 But I do also love a good quality silicon fuzz, so this could be my excuse to buy another one. 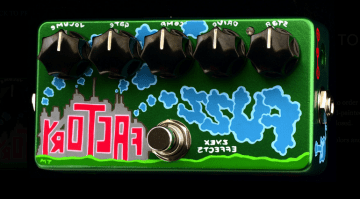 ZVex Vertical Vexter Fuzz Factory: Plug In Baby!